Anne-Marie Helder is PANIC ROOM's lead singer and frontwoman. She is also the band's main lyricist, and songwriter / co-writer on all of their music. Blessed with a unique and powerful voice - which is at once warm, wonderfully expressive, and with a boundless range - it is Helder's distinctive vocal style that helps to breathe the magic into PANIC ROOM's unmistakeable sound. She has been described as the bands 'secret weapon'! ...And her voice as the 'golden thread' which runs through all of the music. In 2013, Anne-Marie and Jonathan Edwards released a debut acoustic album under the name Luna Rossa. Essentially an acoustic duo, this project gave Helder & Edwards a separate outlet for some of their more stripped-back, folky ideas. Luna Rossa is often described as Panic Room's 'little sister'! The first album 'Sleeping Pills & Lullabies' enjoyed immediate success, and was followed in 2014 by a second Luna Rossa release: 'Secrets & Lies'. Anne-Marie has been a prolific singer-songwriter for many years, and her solo career has taken her all over the world. 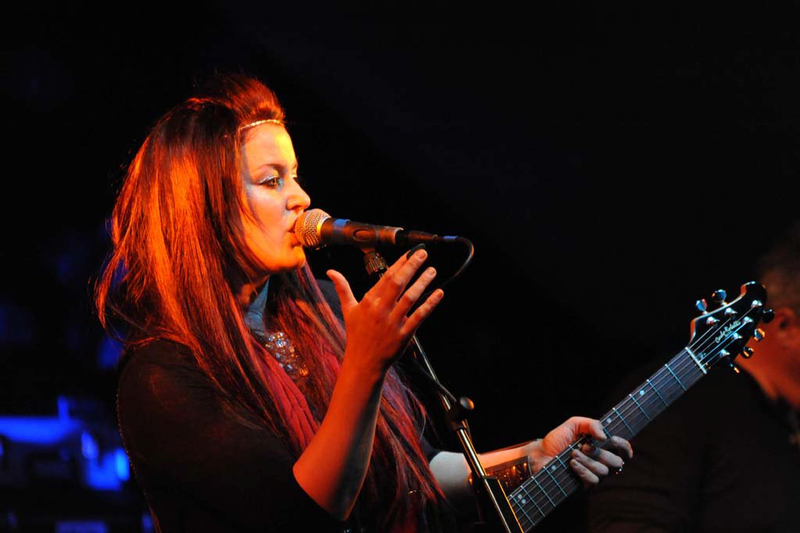 As well as headline shows, she has supported many major artists: including Midge Ure, Paul Young, Glenn Tilbrook, Limehouse Lizzy and Aynsley Lister. In 2009 Helder was the official Tour Support for ULTRAVOX's 'Return To Eden' UK Tour, performing at many prestigious venues including Birmingham Symphony Hall, the London Roundhouse, Cardiff St David's Hall and the SECC in Glasgow. 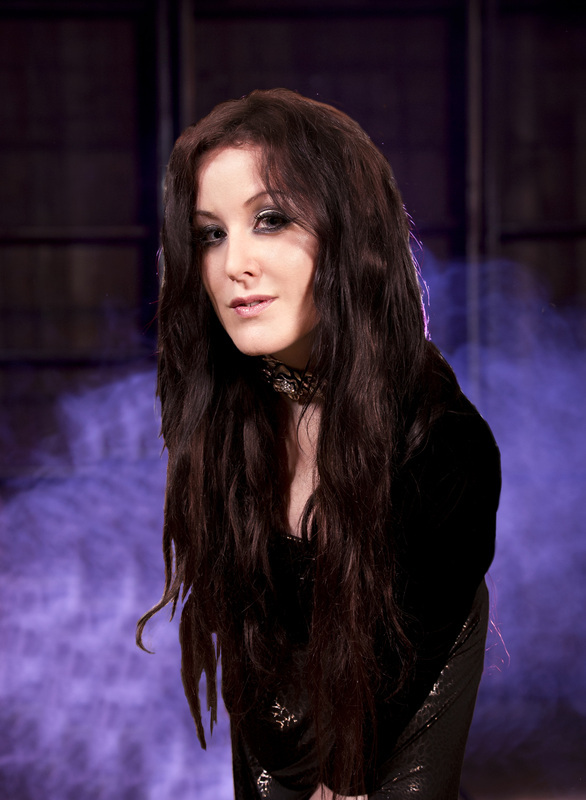 In 2013 she was invited to open every show on Steve Hackett's UK 'Genesis Revisited' Tour, and once again performed to thousands every night with her solo set. DOWNLOAD Anne-Marie's solo EP ‘The Contact’ - now @ BandCamp! In 2009, Helder recorded guest vocals on the debut Parade album 'The Fabric' - all songs written by Chris Johnson. Parade then toured in 2009-10, and Helder performed live on vocals / guitar / keyboards. Anne-Marie was approached by John Wetton and Geoff Downes (of the band ASIA) to contribute guest vocals to their new 'ICON' album in 2009. Recording the song 'Raven' as a duet with Wetton, among other tracks, she then joined ICON live on stage to perform material from this album, in the UK and Europe. A live DVD was recorded at St Mary-le-Bow Church, London. Following her work on the 'ICON' project, Geoff Downes asked Anne-Marie to perform guest vocals on one of his own solo projects: the album 'Electronica', by the New Dance Orchestra (2010). A foray into the world of pop / electronic music, 'Electronica' is an uplifting album which showcases a whole different side to Anne-Marie's vocal talent. ♔ Anne-Marie studied Art at A-Level and then art college, with the aim of being either a fine artist or textile / f﻿ashi﻿on designer. But feeling inhibited by the narrow art-teaching methods, she opted to change her path and instead study a Philosop﻿hy﻿ degree (in Swansea) - graduating with a 2:1. She has kept her artwork alive as a personal passion. ♔ With a lifelong love of the sea, Anne-Marie qualified as a PADI scuba diver in the Maldives. She made some of her first dives alongside turtles, reef sharks and manta rays. ♔ Anne-Marie has been a vegetarian since the age of 15. ♔ In 2011 Anne-Marie did a ﻿charity﻿ skydive from 14,000ft over the English countryside, to raise funds for the 'Pilgrim Bandits'. The Bandits help to rehabilitate injured British soldiers, and create inspiring new activities for their wellbeing.